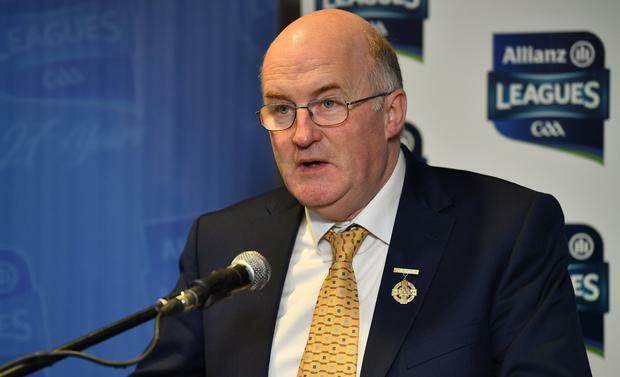 The GAA’s president has defended hiking the price of tickets as a “business” decision. John Horan has acknowledged that the 33pc price increase – from €15 to €20 – could affect future attendances. But he said that the community organisation made the decision based on “business” values and noted that clubs will ultimately benefit. “Anyone running a business and having a product when you go for a price increase, you’ll always have to take it on board that there’s the law of diminishing returns, that if you up the price, you may diminish your sales,” he said. “At Congress last year I did say that we would do more for the clubs. I’d like to follow through on that and we’ve increased the club funding and development areas this year by €500,000, it’s going up by another €500,000 next year. Speaking at the launch of the Allianz Hurling League, Mr Horan said supporting overseas units was another factor. “If you go overseas you realise they don’t have sponsorship for their actual functioning as a board. “They don’t have revenue streams for their games, but yet they have high administration costs and they cover probably larger geographical areas than here,” he added. The ‘on-the-day’ admission to Allianz League games in the top two divisions in hurling and football will increase by 33pc, up from €15 to €20. Mr Horan said it was a case of ’rounding up’ to make entry at the gate more straightforward. “It was a conscious decision that if you were going to make one increase you might as well do it all in one and, look, we know that there’s a stretch on counties in terms of finances. So rather than be piecemeal…you have to be sensible in terms of change and matches and turnover,” he said.